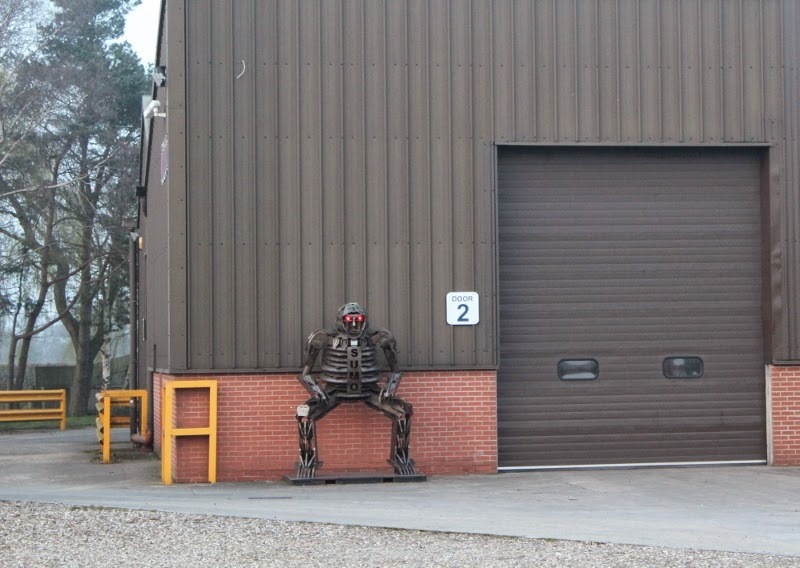 Spotted this chap standing guard outside the SUMO agricultural machinery factory. Wonder if those red eyes follow you when you enter the premises? He certainly has the stance down right! I don't know, but I'm not going any closer.